It was written very quickly, varying sources states that it was done from a few hours down to 22 minutes. The song was offered to several artists before Elvis, many of them declined and described the song as strange and morbid . Durden and Axton offered Presley a third of the writers’ credits if he would make it a single, Elvis agreed. 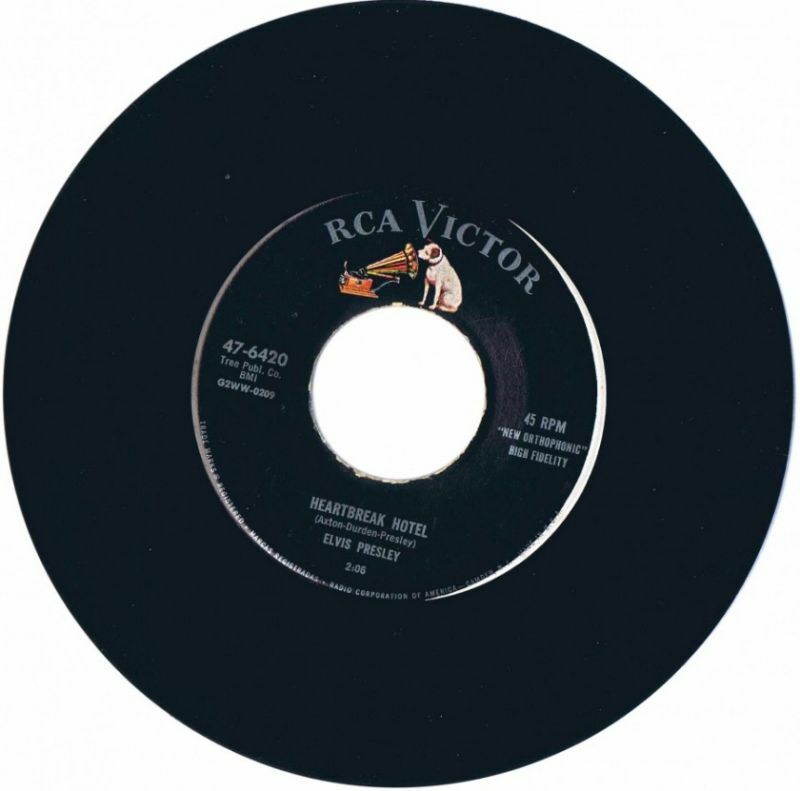 Presley recorded the song Jan. 10, 1956. It was his second song recorded on his new label RCA, following “I Got A Woman”. It was released 27th of January 1956. “Heartbreak Hotel” became Elvis’ first gold record, staying the top of the pop charts for seven weeks in the spring of 1956. Good records just get better with age. But the one that really turned me on, like an explosion one night, listening to Radio Luxembourg on my little radio when I was supposed to be in bed and asleep, was ‘Heartbreak Hotel’. That was the stunner. I’d never heard it before, or anything like it. I’d never heard of Elvis before. It was almost as if I’d been waiting for it to happen. When I woke up the next day I was a different guy. He has also said that after hearing Elvis for the first time it was as if the world went from black and white to vivid Technicolor. Heartbreak Hotel, is it rock’n roll? 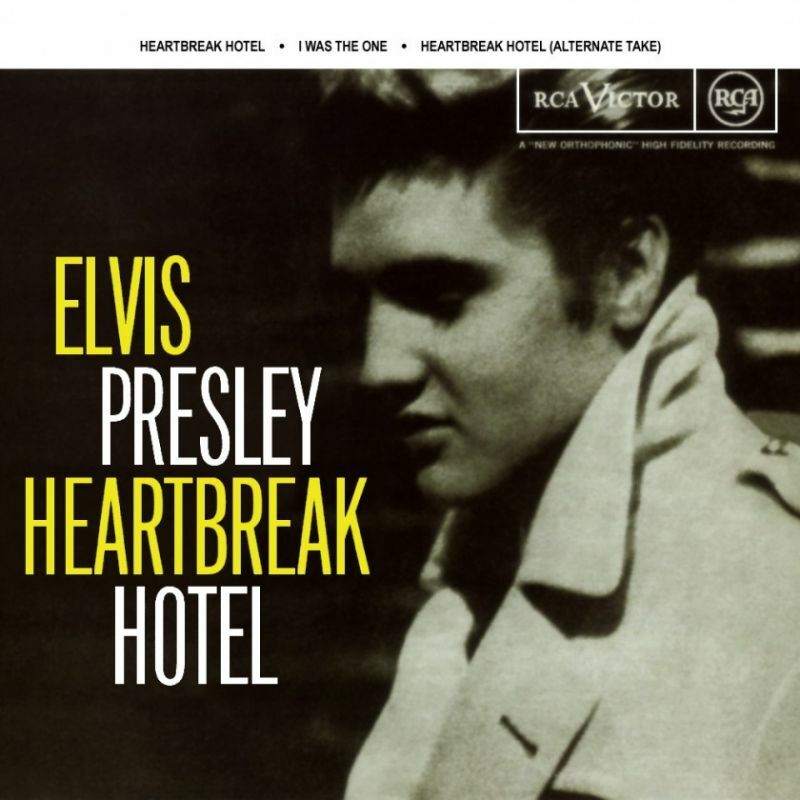 “Heartbreak Hotel” is not like the songs Elvis had recorded before, it has a twangy almost jazzy feel. It is a blues record, not a rockabilly song. It’s blues in melody as well as lyrically. It is sung in a special style. Elvis shouts out the verse and whispers the chorus through the whole song. And, it sounds like he means what he’s singing, it’s a truly empathic performance. It is a magnificent tragedy and he never recorded anything else remotely like it: nothing so spooky, moody or weird. Billboard Magazine described it as “a strong blues item wrapped up in his usual powerful style and a great beat”. One of the greatest rock’n roll songs ever recorded! ← January 26: Lucinda Williams was born in 1953 , Happy Birthday!